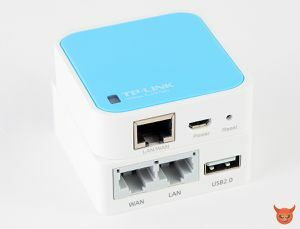 GL-iNet.com creates nice clones of TP-Link WR-703 routers. They run OpenWRT out of the box, and have 2 ethernet interfaces, a 2.4Ghz Wifi (802.11n) radio, a usb2.0 port and 5 free GPIO ports (2mm spacing). Available on dealextreme/alibaba or in the RevSpace vending machine. A new board design has been released in September, with slightly modified/improved power circuits. Some requests have been made for the next board redesign (gpio headers in 2.54mm spacing instead of the current 2mm), which will hopefully be made soon. LED Red and green. When both turned on amber-ish. 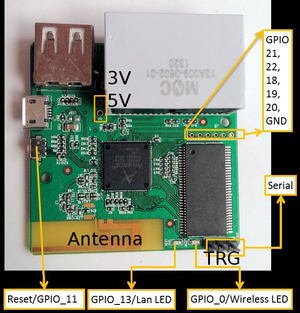 Alternative packages and install-images for OpenWrt (trunk) for GL-Connect GL-iNet v1 (GL-iNet-6416A) devices, Build-environment for the GL-iNet, http://glinet.sigio.nl/. 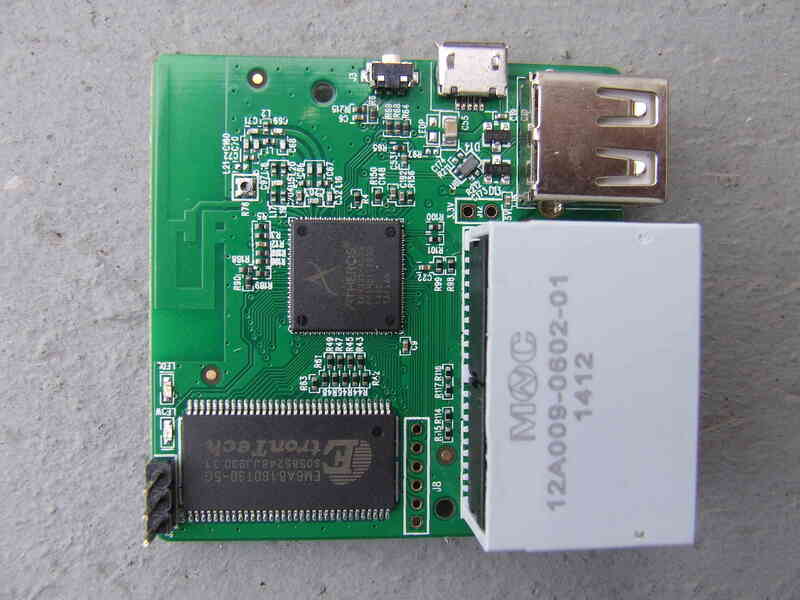 You will need the openwrt-ar71xx-generic-gl-inet-v1-squashfs-factory.bin file, md5sum ad2164a70e4ccc9a40f77bf49d3bb472 Note that using a custom build means you can't use the normal repositories for kernel-packages. OpenWrt and LEDE both support the GL-iNet, check the ar71xx/generic builds! Since August 2014, the patches are included in OpenWrt upstream. So the device runs OpenWrt out of the box, and it's quite easy to build your own image. DHCP server: check box at "Disabled for this interface"
"Physical settings" > check the checkbox "Ethernet Adapter: "eth0""
Maxell's shopping list for the external antenna modification. Surface mount IPX: . New(er) PCB's already have these in place. 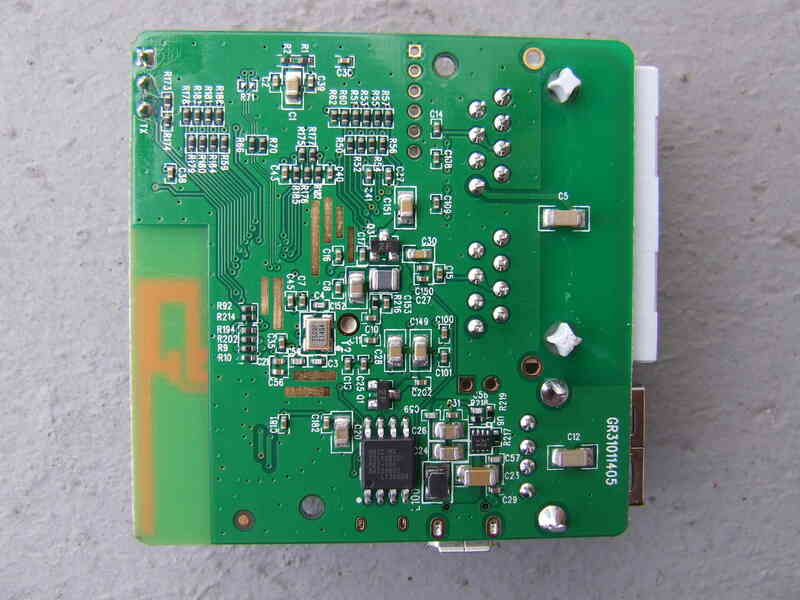 The factory supplied antenna connector IS NOT a standard U-FL (IPEX) connector, it is an RF test pin only used during factory calibration, not good for connecting an external antenna! Mod by Morphje: Range increased to 400+ meter open air range. Signal quality on IBM laptop was 43% @ 400 meter. Widely sold as the "Nokia5110 display" (but actually most famous for being the display of the Nokia 3310), this 84 × 48 graphical display can easily be added to a GL-iNet and controlled by bitbanging SPI with the GPIO pins. It uses 4 GPIOs, leaving one vacant, if you simply tie CE/SCE to GND. Wires soldered and plugged in, slot dremeled. In action, after the display was hot-glued to the case of the GL-iNet. Note: some of these PCBs come with a current limiting resistor of 150 Ω for the background LEDs, while others don't. Add your own resistor if your board didn't come with a resistor, or the LEDs will wear out very quickly. 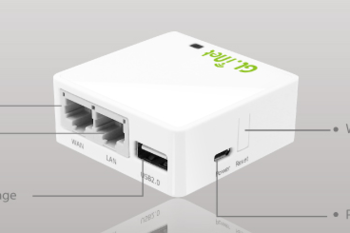 The GL-iNet uses an RJ45 jack with magnetic coupling integrated. See: RJ45 jack datasheet This will probably that we need to alter the jack by means of an dremel. This shouldn't be too hard, since it's just plastic. Implementation will be a passive PoE client, digging through specs to see whats official. Appears that "real" PoE is a bit more involved, as for my current design, passive (fake) PoE will work just fine. The jack is filled with some rubbery compound, but if you carefully dremel away the yellow plastic, you can safely cut away about 3 mm of the rubber. I went in a bit deep to see the PCB and most likely killed a few of the components you can see in the picture. Pins 3,6,7 and 8 are unconnected to the board, so you can safely solder onto them. Note: The new AR-150 models from GL-Inet have an add-on module to enable POE. It's quite easy to solder in the POE module, as it's a single through-hole add-on module. This page was last modified on 8 October 2016, at 16:32.